Media reports indicate that a leak of the toxic methyl isocyanate (MIC) occurred that night when it reacted with a large volume of water that seeped into the MIC storage tanks. Detection and subsequent action by Union Carbide employees was too late to contain the leak, and forty tons of MIC flowed out of the tanks over two hours. And even if they had reacted immediately, the safety standards accepted at the plant would not have allowed them to do anything about it. Thus the MIC gas escaped into the atmosphere and drifted five miles downwind over the city of Bhopal, population 900,000, poisoning all in its path. The cause of the gas leak remains in dispute. Union Carbide says it was an act of sabotage, the malicious work of a disgruntled employee who added water to a storage tank, which caused a reaction that built up heat and pressure. However, no one has been charged. The most seriously affected areas are those nearest the plant, the absolutely poorest sector of the population, mostly Muslims. Prior to the tragedy, the city evoked the splendor of its Muslim past. It was here that princes and princesses rode elephants draped in gold. It is the home of the Taj-ul-Masjid, one of the largest mosques in the country. The "City of Lakes" lies along a sandstone ridge. There is a continuing stalemate on the clean up of the plant site and its vicinity of hundreds of tons of toxic waste, which remains untouched. Environmentalists have warned that the toxic waste could result in contamination causing decades of slow poisoning, and diseases affecting the nervous system, liver and kidneys in humans. According to activists, there are studies showing that the rates of cancer and other ailments are high in the region. Activists have demanded that Dow clean up this toxic dump, and have pressed the government of India to demand more money from Dow. Indian officials claim that most of the $470 million in compensation received from Union Carbide has been distributed, but there are lingering suspicions that a large part the funds have been lost to corruption. Another $40 million has been used to build the Bhopal Memorial Hospital and Research Center, which opened in 2000. Governmemnt officials have dismissed claims that the pesticide plant at Bhopal is still leaking dangerous toxins into drinking water. However, a report published by the British-based charity the Bhopal Medical Appeal (BMA) and the Sambhavna Clinic in Bhopal says there is evidence that "there are still high levels of toxic chemicals in the drinking water supply in 15 communities near the old Union Carbide pesticide plant". The report says the water "in and around the Union Carbide factory site in Bhopal still contains extremely unsafe levels of carbon tetrachloride and other persistent organic pollutants, solvents, nickel and other heavy metals". "Not surprisingly," the report claims, "the populations in the areas surveyed have high rates of birth defects, rapidly rising cancer rates, neurological damage, chaotic menstrual cycles and mental illness." The scientists at Indian Council of Medical Research (ICMR)have announced plans to investigate the long-term health effects of the disaster, including studies to see if the toxic gases caused genetic disorders, low birth weight, growth and development disorders, congenital malformation and biological markers of MIC/toxic gas exposure. Many of the survivors of this tragedy still live in crowded slums near the abandoned factory walls. In addition to continuing high rates of various ailments in the surviving population and their children, the effects of the accident twenty five years ago this month have also set the city's economic development back by decades, causing widespread and long-lasting poverty well beyond the areas affected by the initial gas cloud. 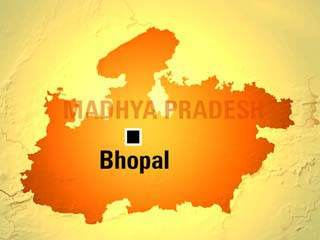 The economy of the state of Madhya Pradesh, of which Bhopal is the capital, is growing at a rate of about 4% per year, much slower than the national average for India. There are more hungry people in India than anywhere else in the world, though Madhya Pradesh is the only state in the country where the level of hunger is "extremely alarming", according to the India State Hunger Index. Six in 10 children in the state are undernourished, and more people suffer from hunger here than in Ethiopia or Sudan, according to the index, which was published in October 2008. Dow Chemicals, which now owns Union Carbide, is facing corruption allegations in India. India's Central Bureau of Investigation raided offices of a Dow subsidiary in 2007. The raids followed allegations of bribes being paid to Indian regulatory officials to facilitate licenses for Dow pesticide products. In 2007, Dow paid a $325,000 penalty to the U.S. Securities and Exchange Commission to settle an S.E.C. investigation into those same payments. Dow has also enlisted some strong allies here, including big corporate names like Tata and Reliance conglomerates, and some top government officials including Commerce Minister Kamal Nath. As India, Pakistan and other developing nations vie for foreign direct investments by multi-national companies seeking to set up industries to lower their production costs and increase their profits, the lessons of Bhopal must not be forgotten. It is the responsibility of the governments of the developing countries to insist on legislating and enforcing strict environmental and safety standards to protect their people to avoid another Bhopal. Public interest groups, NGOs and environmental and labor activists must press the politicians and the bureaucrats to protect the people against the growing safety hazards stemming from increasing global footprint of large industrial conglomerates. A court in the Indian city of Bhopal has sentenced eight people to two years each in jail over a gas plant leak that killed thousands of people in 1984. The convictions are the first since the disaster at the Union Carbide plant - the world's worst industrial accident. The eight Indians, all former plant employees, were convicted of "death by negligence". One had already died - the others are expected to appeal. Campaigners said the court verdict was "too little and too late". Forty tonnes of a toxin called methyl isocyanate leaked from the Union Carbide pesticide factory and settled over slums in Bhopal on 3 December 1984. The Indian government says some 3,500 people died within days and more than 15,000 in the years since. Campaigners put the death toll as high as 25,000 and say the horrific effects of the gas continue to this day. It was taken over by the state government of Madhya Pradesh in 1998, but environmentalists say poison is still found there. The eight convicted on Monday were Keshub Mahindra, the chairman of the Indian arm of the Union Carbide (UCIL); VP Gokhale, managing director; Kishore Kamdar, vice-president; J Mukund, works manager; SP Chowdhury, production manager; KV Shetty, plant superintendent; SI Qureshi, production assistant. All of them are Indians. The seven former employees, some of whom are now in their 70s, were also ordered to pay fines of 100,000 Indian rupees (£1,467; $2,125) apiece. Although Warren Anderson, the American then-chairman of the US-based Union Carbide parent group, was named as an accused and later declared an "absconder" by the court, he was not mentioned in Monday's verdict. Soutik Biswas of BBC says that "the verdict is being described as more symbolic than just by rights groups and NGOs who have been working with the maimed gas victims. They say that two-year prison sentences for Indians found guilty over the tragedy which killed thousands is an indictment of the country's slow-moving criminal justice system and investigative agencies. Campaigners would like to see the former Union Carbide chairman Warren Anderson, the prime accused in the case, brought to justice. A warrant for his arrest was issued by an Indian court in 2003 but never acted on." BP lost only about 4.3 million barrels of crude into the ocean (184 million USG). BP typically offloads the oil at no more than $50 to the middlemen. At that rate, BP lost only $216M, plus the cost of the fix at $2B. But the US claimants are now owed up to $20 billion for the 2,000,000 dead fish, or $10,000 per fish. In comparision, Uniion Carbide paid only $470 million to the nearly 3100 dead in Bhopal leak of methyl isocyanate, i.e. less than $1,300 per dead. Bhopal tragedy in 1984 and the government response to it have shown that India has a terrible record on industrial safety. Now the BBC is reporting that the iPhone manufacturer Foxconn has temporarily shut down a factory in India after some 250 workers fell sick. The factory in Chennai was closed temporarily on Monday "to allow it to be checked and cleared by the relevant local authorities," the company said in its statement. The workers fell sick last week after experiencing giddiness and nausea in the factory. All were taken to hospital, where nearly 30 of them remained for observation on Monday, the company said. Foxconn is part of Hon Hai Precision, the world's largest maker of consumer electronics, and it employs 800,000 workers worldwide, mostly in China. This latest incident brings back horrible memories of the year 1984. Not only did the nation lose Prime Minister Indira Gandhi to the assasins' bullets, India also lost thousands of Sikhs in the riots that followed the political assassination, and thousands of Muslims and hundreds of Hindus in Bhopal's deadly gas leak of December 3, 1984. The Bhopal disaster is still believed to be the world's worst industrial accident that instantaneously claimed the lives of at least 2,500 people, and injured about 400,000, with the toll still rising to this day. More than 25 years after the Bhopal gas leak killed and injured tens of thousands of people while they slept, an Indian court finally convicted seven former managers at the plant last month. They received minor fines and brief prison sentences. Does the Chennai incident represent only the tip of the iceberg of industrial disasters to come? Let's hope not!